I love jewellery, but lately have not been wearing much what with having a baby- you either don’t get out, don’t have time to put it on or if you do, you risk your child yanking it off, or worse still breaking it. I do however, manage to wear one simple piece and that’s a silver ‘letter A’ alphabet pendant for the first letter of my first name. I recently picked it up in Pandora and also bought one for my niece’s confirmation. I bought her a ‘J’ for Julie pendant (29E) along with a silver chain (36E) which is sold seperately. 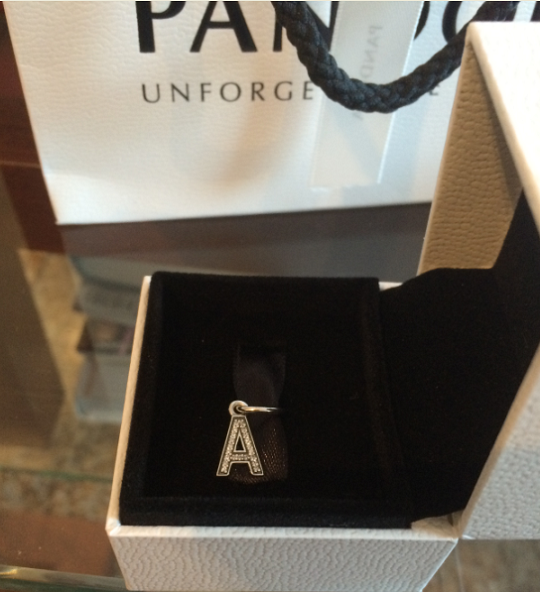 The letters can also be worn as charms on a bracelet, which is what Pandora specialise in. The great thing about Pandora is that they have jewellers all over Ireland so these pendants or charms are easily accessible (for full Pandora stockist details see www.republicofjewels.ie or Pandora.net). If you’re after a gold alphabet pendant, Loulerie have some fabulous ones which are made from 9k gold. The small initial disc is €149 while the larger one is €179 and the chain is sold separately (€159). Pictured below. 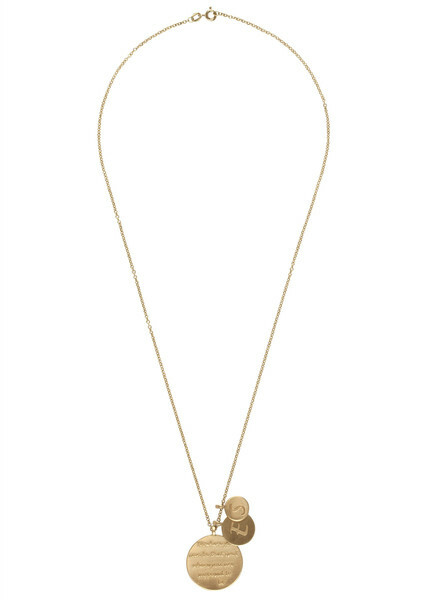 If you really want to splash out, try the Annouska alphabet pendant (loved by the likes of JLo and Danni Minogue), which I’ve written about here. It is made from 18k yellow gold with .08 carats of silver diamonds which are micro-pave set into black rhodium. The trend amongst celebrities goes a step further with celeb mums wearing pendents with a letter from their child’s name. Halle Berry has an ‘N’ (her daughter is called Nahla), Jessica Alba wears a ‘H’ for her daughters Honor and Haven, while Kourtney Kardashian wears an ‘M’ which stands for her son, Mason. Meanwhile Mad Max star Charlize Theron wears a ‘J’ – for her son Jackson and Katie Holmes an ‘S’ for daughter Suri. I’m no celeb but I had better get a move on then and invest in an ‘R’ for my daughter Ruby!